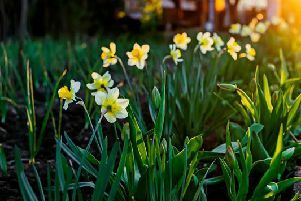 The Met Office is predicting chillier conditions across the country following the warm and sunny start to Spring experienced over recent weeks. A yellow weather warning has been issued for hill snow for an area of northern England and southern Scotland, while flurries were seen down into the Midlands in the early hours. According to the Gosport Weather Station temperatures dipped to near freezing – 0.8C – at 6.54am today. Temperatures in our area are expected to remain in single figures for most of the day as the wintry spell continues, with a high of 9C predicted for Portsmouth. Will we see snow in our area? Currently light rain showers are predicted for Portsmouth this afternoon at 3pm, while Fareham, Gosport and Havant will also see showers and the rain will be heavier in Waterlooville lasting from 2pm until 8pm. However snow or sleet are not being forecast currently for the places in our area. Met Office meteorologist Mark Wilson said: ‘In the north of the UK there will be more persistent rain and hill snow today, particularly on higher ground in southern Scotland and northern England.